The Celebrate Carson College! 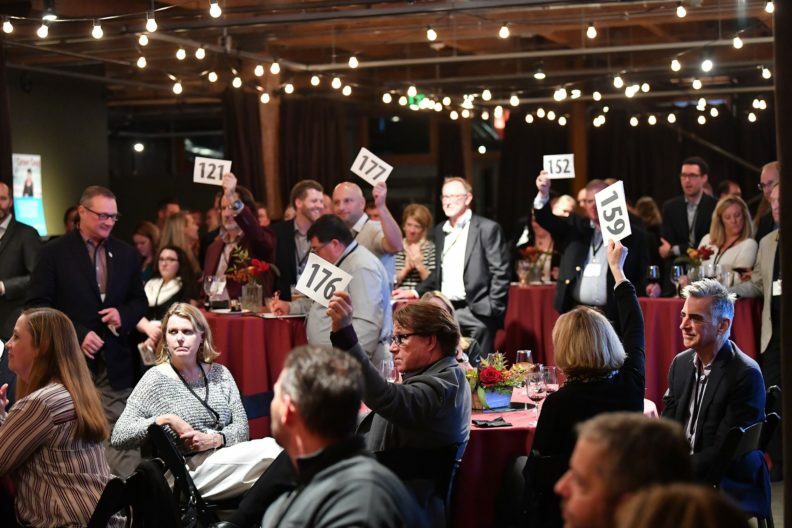 event on October 25 raised just under $600,000 toward supporting The Next Carson Coug, a Carson College of Business initiative to transform undergraduate business education. WSU Regent, alumnus, and Carson College of Business namesake Scott Carson and his wife Linda provided a dollar-for-dollar match of the college’s efforts to raise $250,000, and when the event attendees surpassed that goal, the Carsons generously increased their match to support the initiative. The reception style event included hors d’oeuvres, a hosted bar, live auction and a raise-the-paddle program at Melrose Market Studios, in Seattle. Thank you to everyone involved, especially Scott and Linda Carson.